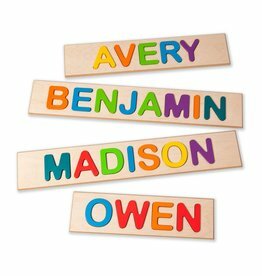 Custom, wood name puzzle just for your child! Unusual names & spellings -no problem! Encourage logic, fine motor skills and name recognition.